When the princess Arjumand Banu Begum met the future Mughal Emperor Prince Khurram, it was a rare case of royal love at first sight. The prince, who was by then known as Shah Jahan, had two other wives, but it was no secret that he only had eyes for the one he named ‘Mumtaz Mahal,” which meant “jewel of the palace.” The happy couple wed in 1612. Mumtaz Mahal was widely praised for her compassion, grace and beauty. She traveled everywhere with her husband, and was his closest companion and adviser. She harbored no political aspirations, and was only interested in providing the Shah refuge and comfort from his many responsibilities. He trusted her so completely that she was given his Imperial seal. The couple spent every moment they could in each other’s company. 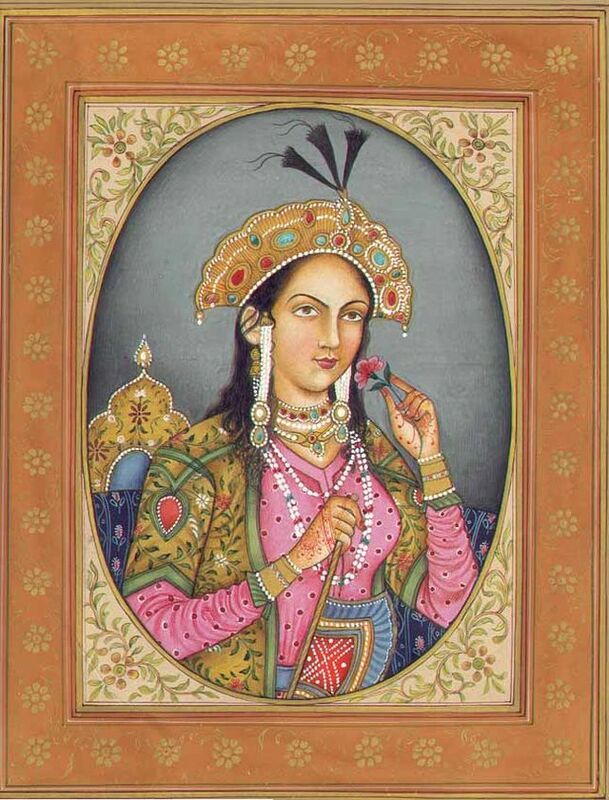 Mumtaz Mahal and Shah Jahan enjoyed a relationship unsullied by suspicion or intrigue, unlike many royal marriages. She only used her considerable influence with her husband to advocate for the poor. It’s no coincidence that Shah Jahan’s reign was known as India’s Golden Age. The country was enjoying a period of increased influence, prosperity and artistic achievements. Happy wife, happy life – and happy empire. One of the occupational hazards of being an empress was almost perpetual pregnancy. Mumtaz Mahal was on the road with the hubby when she went into labor with their 14th child on June 17, 1631, but she died of complications during the birth of their daughter. Her husband, paralyzed by pain and sadness, was utterly inconsolable. The Shah dealt with his grief by commissioning the construction of a magnificent white marble mausoleum on the Yamuna River, directly across from the Royal Palace. The structure has a central dome 73 meters high, flanked by four smaller domes. Semi-precious stones including jade, amethyst, turquoise, lapis lazuli and crystal dazzle within inlaid designs throughout the mausoleum. 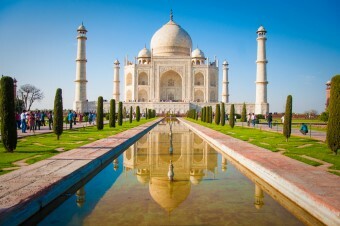 He called it the Taj Mahal in honor of his wife and his undying love for her. When Shah Jahan died in 1666, he was laid to rest next to his beloved Mumtaz Mahal for all eternity.